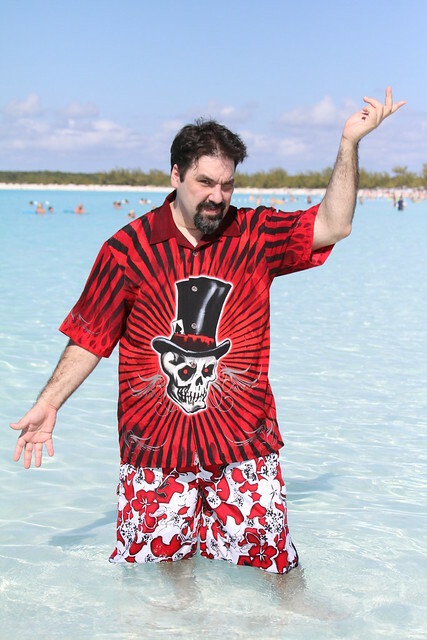 I’m Jason Scott, and if you’re reading this you probably have me in some sort of RSS or Feed Reader. And, in some cases, you had the feed suddenly blast out a bunch of new entries where the last one was from some time in December. So, it appears some hackery got into my weblog via a particularly not-well-engineered plugin, and it added this thing that would replace any occasion of connections from Google-related stuff (like search and feeds) to show spam, while looking entirely normal to some rube browsing it normally. This particularly insidious issue was very hard to notice. Like Syphilis! Which I don’t have. The infection appears to have hit just after the posting called “The Penalty Box”, and since that one was about being in the hospital, I am sure that might have freaked everyone out who didn’t check into the site. Sorry about that! I got out! So, for ease of use, here is a list of all of the entries from Penalty Box onward, in case you missed some entries and didn’t know it. If anyone sees any other dead feeds, let me know, I’ll see about fixing them, but we should be to normal now. The Penalty Box – In which I indicate I went to the hospital. I got out. Be a Hero to 79 Wayward Cubes – I asked for (and got) help in storing all the legal documents from the DeCSS case. Yahoo!locaust – Got lots of traffic on this one. Turns out YAHOO IS DELETING SITES. A Pair of Shoes – I am really hard on shoes. Hey, shut up, it was a slow news week. Geocities Torrent Update – Turns out torrenting Geocities is hard. Information Cube Packing – Some updates on the Information Cube, which is closed for the winter. The RSS Problem – Yes, I STILL had the problem at this point. The BBS Documentary Reborn – In which I let you know 1000 more BBS Documentaries have arrived. Where is Dor Sageth? – Just passing along some questions about the fate of an online game. Tim – Losing a friend happens. But not usually when the friend is 36. Destroying the History to Save It – Some thoughts on scanning and destroying while doing it. All I’m Saying – And that’s all I’m saying about that. The Next Documentary – Some thoughts on the next documentary I’ll be doing. Two documentaries, actually. The Review Fascination – When people dislike GET LAMP, they REALLY dislike GET LAMP. Has Never Filmed, Will Never Film, Might Film – Some ideas for documentaries that I’m not doing. That’s it! Thanks for understanding. Happy reading. 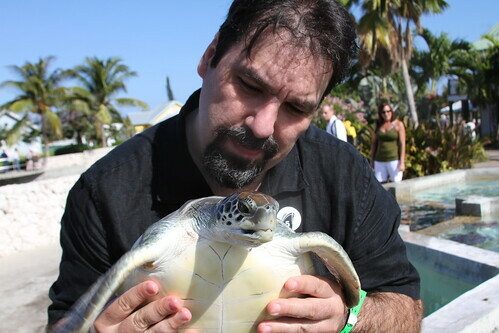 Here’s me with a turtle.